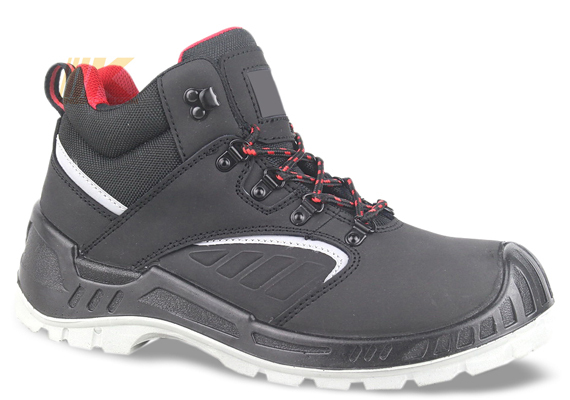 Black Nubuck Leather Composite S1P Safety Shoes KSF1330_Nubuck Upper_Safety Shoes | Safety Boots | Work Boots | Safety Footwear | Work Shoes -- Kingscome Safety ! Lace up safety shoes in black action nubuck leather upper, wearable mesh lining absorbs and releases the moisture, preformed removable and antibacterial mesh/EVA insole, injected dual density polyurethane sole, with energy absorbing heels, anti-static, anti-slip, fuel oil and acid resistance, composite toe 200J shock and crush resistance, kevlar plate 1100 N puncture proof. toe scuff cap for product longevity.